What Happens When You Are Over Hydrated? Being over hydrated is just as bad as being under hydrated, you just don’t hear about it too much because most of us don’t drink enough water, or we drink way too many fluids that dehydrate us. But for the hydration enthusiasts, it’s also important to not get carried away. 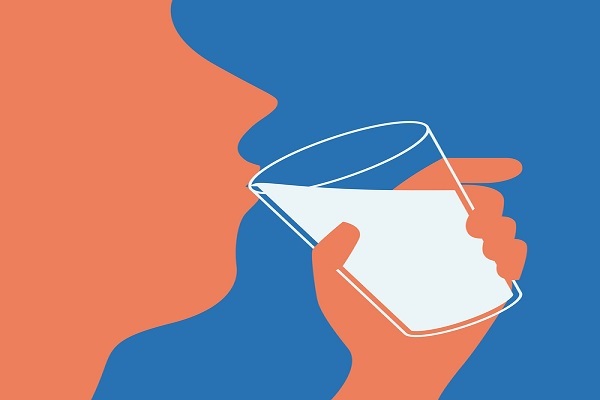 Drinking too much water, though rare, can lead to hyponatremia. Hyponatremia occurs when the sodium in your blood gets diluted. This can cause confusion, headaches, nausea and bloating. In severe cases, hyponatremia can lead to seizures, organ failure, even death. It is recommended that men drink more water than women because a man’s body is designed to intake more water. An adult man’s body is 60 to 65% water while an adult woman’s body is 55 to 60% water. This is because men have more muscle tissue, which holds more water than fat tissue. High sugar and protein diets require you to drink more water to help your blood dilute the sodium and sugar so that you can absorb it in your bloodstream. Coffee, tea, soda and/or fruit juice contribute to your dehydration. WATER DOESN’T JUST QUENCH YOUR THIRST AND KEEP YOU HYDRATED. When you’re consuming the right amount of water a day, you will notice additional improvements in your organ health, with your skin being the most obvious improvement. It will be clearer. more radiant and smooth. You will also eat less. Believe it or not, we often confuse our thirst with hunger! HOW DO YOU KNOW IF YOU’RE DRINKING THE RIGHT AMOUNT OF WATER AND WHAT CAN YOU DO ABOUT IT? -Check the amount and color of your pee. If your pee is a good amount, and your urine is clear, you’re hydrated! -Notice how you feel when you wake up. If you are properly hydrated. you won’t feel thirsty. -Choose drinks that are low in sugar, no more than five grams of sugar per eight ounces. This includes sports drinks and flavored water as well. -Sip your water. If your body intakes a lot of water very quickly, you will trigger the max volume response and want to pee it all out! Water helps to rid your body of toxins. Those in poor health are encouraged to drink more water as a result. Naturally, more active people will need to drink more water to replenish water lost through sweating. Previous post: Do You Know What Kind Of Milk You Are Drinking?